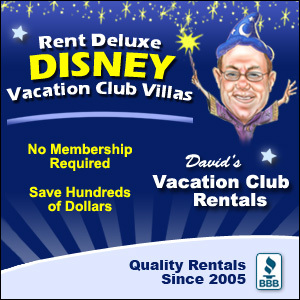 One of the best ways to get excited about a Disney World trip is to watch Disney movies. Any Disney movie will do the trick, but there are some films with special ties to the parks. 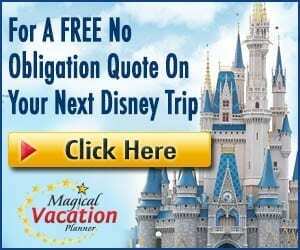 After watching these films, you’ll then be able to meet the characters, ride the attractions, and perhaps even visit the lands inspired by the film. Whether you watch these movies for the first time, to re-familiarize yourself and your family with the characters, or simply to get excited about your trip, these are the ones you should play first. This isn’t technically a Disney movie- but If you’re planning on visiting Animal Kingdom at all, chances are you’ll be exploring their newest land, Pandora: World of Avatar. With attractions, restaurants, and shops inspired by James Cameron’s 2009 blockbuster, stepping into this land really feels like you’ve stepped into a different world. And while you don’t need to have seen this film to enjoy the land, familiarizing yourself with the movie characters and environments will definitely help you better appreciate all the storytelling that went into Pandora. Though the story of the land is set years into the future, after the events of the movie occurred, you’ll still recognize familiar elements (such as the Na’vi, the Banshees, the bioluminescent plants, the music, and much more). Also, if you find yourself at Animal Kingdom, you’ll need to check out Finding Nemo the Musical. The original song featured in this musical, titled “In the Big Blue World,” is super catchy, and can also be heard over at Epcot. I really recommended watching Finding Nemo before visiting The Seas, and before watching the musical- it will help young kids get excited over the characters, and will help adults remember the touching themes that inspired the film’s theme park attractions. Sitting down to watch a classic Disney movie is a great way to kick off any Disney vacation! I know a lot of kids who don’t even know what Fantasia is, and a few adults who could use a reminder as well (myself included). However, Fantasia is featured all over the parks and resorts, especially the scenes from The Sorcerer’s Apprentice segment. First off, guests can meet Sorcerer Mickey in Hollywood Studios, where I’m sure he’ll be keen to show off his magic skills. You can also see Sorcerer Mickey featured in Fantasmic! Music and scenes from the film play a small part in Mickey’s Philharmagic attraction over at the Magic Kingdom, and if you like exploring the resorts, you can see larger than life figures from Fantasia (2000) at Disney’s All-Star Movies Resort. Even if you don’t care for the film, the music from Fantasia is sure to transport any Disney fan directly to their happy place- why not give it a watch (or listen) before you travel? Okay, so chances are, you’ve probably seen Frozen (and if you have kids, you’ve probably seen it hundreds of times). However, this film is especially fun to watch before a Disney trip- particularly if you’ve managed to snag a Frozen Ever After FastPass! 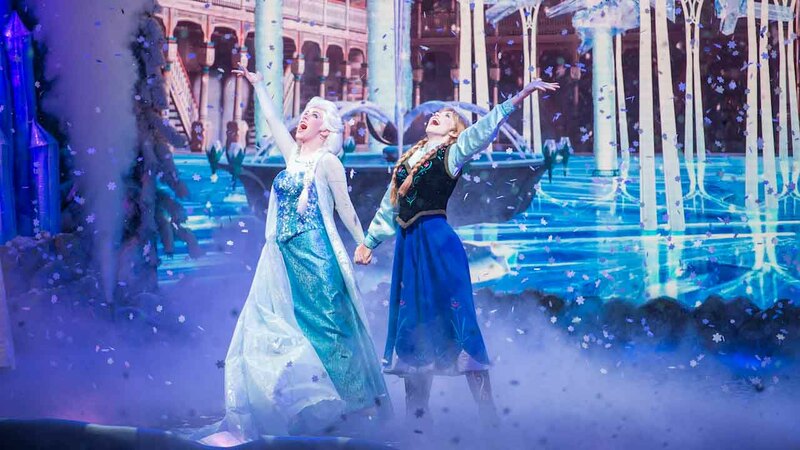 Frozen Ever After is currently the most popular attraction in Epcot, and riding it not only takes you through the story of Anna and Elsa- there is a whole original story behind the attraction. Guests are made to feel as though they are visiting the kingdom of Arendelle on a summer “snow” day, and Elsa is inviting everyone to her ice palace. The lyrics of the songs are changed slightly to fit the theming of the ride, but the magic from the original movie is definitely there! Watching the movie before your trip will also get you hyped if you plan on meeting the sisters in Norway, right next door to their attraction. You’ll be able to ask Anna about her favorite chocolate treats, and ask Elsa how to pose like a queen. If you find yourself in the Magic Kingdom, you’ll be able to catch a glimpse of the two in the Festival of Fantasy parade, or see them sing and dance during Mickey’s Friendship Faire, the daytime castle show. During the holidays, the Frozen characters perform “A Frozen Holiday Wish” in front of Cinderella Castle, covering it with beautiful, sparkling “ice and snow.” Frozen has a big presence in the parks (as well as the shops), and re-watching the film is a perfect way to get in that Disney mindset. Moving on from a well-known film to a (in my opinion) underappreciated film, the 2007 Disney movie Meet the Robinsons is perfect if you plan to spend time in Tomorrowland or Epcot’s Future World. The major themes of the film are centered around family, inventions and innovation, and how life could be in the future if we continue to “keep moving forward.” These are also the themes present in the two aforementioned parks (the movie even has a funny little nod to Tomorrowland and Space Mountain, with a scene that features a place called “Todayland”). If you’re someone who appreciates new ideas, visions of the future, and progress, then this is the perfect movie to watch- make sure to keep an eye out for Walt Disney’s quote at the end! Aside from Avatar, this is probably the most important film to watch before visiting Animal Kingdom. What better way to get excited about seeing real-life animals than watching Simba and the gang at home? The music is sure to get you excited for The Festival of the Lion King show, and scenes of the savannah can’t prepare you more for a ride on Kilimanjaro Safaris (especially since you will be aboard the “Simba One” ride vehicle). On the safari, you’ll be able to see lions, warthogs, giraffes, and tons of other African animals, and you’ll able to see meercats (like Timon) up close while strolling the Pangani Forest Exploration Trail. If you’re a major Lion King fan, you can even explore the Art of Animation Resort’s Lion King section, where they have a whole block of rooms dedicated to the film. You’ll get to see life-size versions of all the characters; it makes for an amazing photo shoot! Disney’s Animal Kingdom Lodge Resort also features their own savannah, where you can view African animals in a more relaxed setting, and learn about them from Cast Members at the Resort. Finish off your day with a viewing of Happily Ever After to hear some wise words from Mufasa, and prepare to watch the movie again when you get home. 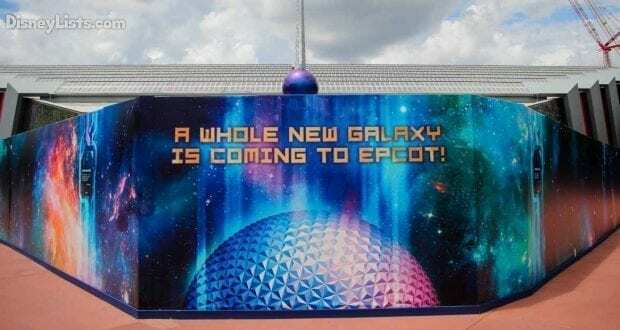 By now, every Disney fan has heard the hype surrounding the new Guardians of the Galaxy attraction in Epcot. It hasn’t opened yet, but guests can still see the show building towering over Future World as they approach the park. As the opening date gets closer, more ride details will be released (we’ve already been introduced to concept art of the interior and ride vehicles). Whether or not you’re a fan of Marvel, or if you’re still grieving over the loss of Ellen’s Energy Adventure (like I am), you’ll want to watch the film and be prepared before riding this new attraction. In the meantime, if you visit Disney California Adventure, Guardians of the Galaxy: Mission Breakout is an amazing ride to experience- even if it did replace their Tower of Terror! You can also meet the characters over on that coast, as well as bop along to an Awesome Mix-inspired dance party. When thinking of movies that have a big presence in the Magic Kingdom, it’s hard to choose just one. The Little Mermaid and Beauty and the Beast are both big contenders, as well as Dumbo, Aladdin, Pirates of the Caribbean, and well…a dozen others. However, if I had to pick one movie to watch before visiting Magic Kingdom, it would be Peter Pan. There’s just something magical about that film, something the brings back all the wonder and excitement of childhood (which is what Disney is all about). First is the classic attraction Peter Pan’s Flight, which always has long waits and yet never ceases to amaze me. I love boarding my pirate ship and flying over London, heading toward the second star to the right, and then gliding over Neverland. Often, I feel just like Wendy- I want to escape to Neverland and never live in the grown-up world again. Second is the Tinkerbell meet and greet right at the Magic Kingdom park entrance, where guests are shrunk to the size of a pixie, and can make some memories with the famous fairy. You can also see Tink, as well as Peter Pan, Wendy, Captain Hook, the Lost Boys, and the Crocodile in the Festival of Fantasy parade. My favorite Peter Pan moment, however, is watching Tinkerbell fly at the finale to Happily Ever After. The chorus bursts into a rendition of “You Can Fly!” as fireworks burst overhead, and Tinkerbell soars. My heart swells every time, and I wouldn’t feel as much emotion if I didn’t remember watching Peter Pan. What other movie insists that you believe in fairies? Star Wars: Galaxy’s Edge is coming to Disney World and Disneyland- in case you haven’t heard! At this point, watching the Stars Wars movies (yes, all of them) is pretty much an essential in order to fully immerse yourself in the land that Disney will be creating, as well as the brand-new Star Wars-themed hotel. I’ll admit- I haven’t even seen all the films (I know, I need to get on that). I do, however, have a general understanding of Star Wars, and I’m sure that’s all you need in order to have a great experience in this new universe. Before you hop on the Millennium Falcon, or unleash your lightsaber, there are a few Star Wars experiences that you can already see at the parks. 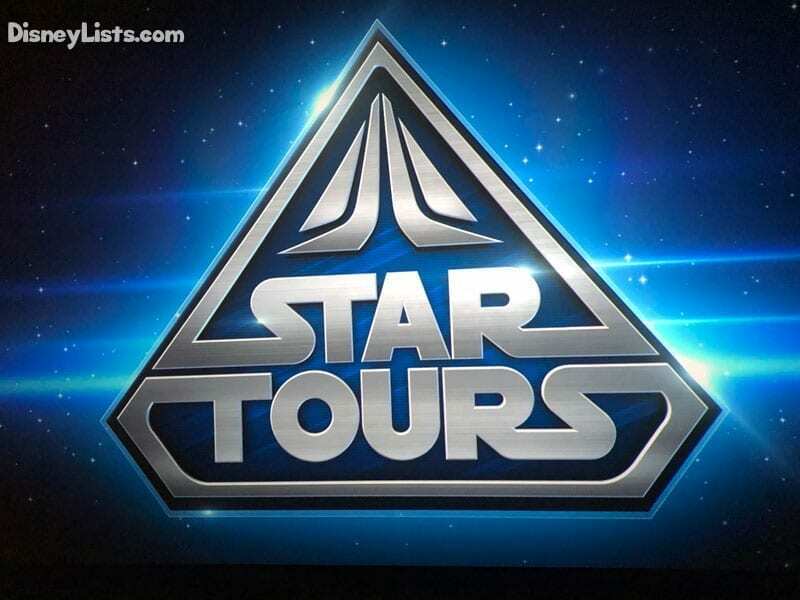 Take a ride on Star Tours to experience multiple adventures from the movies, or catch a showing of Jedi Training: Trials of the Temple at Hollywood Studios. In fact, it’s hard to pay a visit to Hollywood Studios without seeing at least some Star Wars elements- Stormtroopers walk around and interact with guests; Star Wars: A Galaxy Far, Far Away is a fun stage show featuring all of the characters, and Star Wars Launch Bay is a pavilion that offers lots of Star Wars character interactions. You can always end your night at Hollywood Studios with a showing of Star Wars: A Galactic Spectacular. Combining music from the movies and fireworks, viewing this show is a great way to start to watch (or re-watch) the films, and patiently (or not so patiently) await the opening of Galaxy’s Edge. Not that anyone needs a reason to watch Toy Story (it’s one of the best movies ever), but now that Toy Story Land is open at Hollywood Studios- what are you waiting for? Go watch it! You’ll get to familiarize yourself with Buzz, Woody, Jessie, and all the others before seeing them in the parks, riding the attractions, and getting their autographs! Watching all three films will give you the utmost appreciation for all the detail that lies within Toy Story Land, as well as attractions like Toy Story Mania and Slinky Dog Dash. The best part is, you’ll be all set for when Toy Story 4 comes out in theaters!